Height: 6' 2" Weight:225 lbs. Background: When you draft a kicker, you had better succeed in hitting on that pick. In 1979, the New Orleans Saints took a huge leap of faith in drafting Russell Erxleben in the first round, with the 11th pick overall. You know how that worked out. 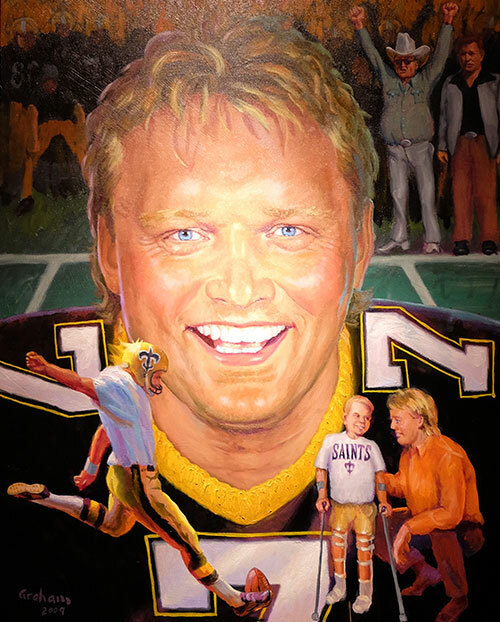 In 1982, the Saints drafted Morten Andersen in the fourth round with the 86th overall pick. You know how that worked out. By any measure, Andersen is the best kicker in NFL history to date. He is the all-time leader in games played in the NFL (382) and is the leading scorer in NFL history (2,544 points). In 13 years with the Saints, Andersen was simply brilliant. He is easily the leading scorer in franchise history with 1,318 points, in field goals (302) and extra points (412). He led the team in scoring in 12 of his 13 seasons in New Orleans. He is the all-time leader in games played in franchise history (196). Andersen is the oldest player to kick five field goals in a game and the oldest player to kick four field goals in a game in NFL history. 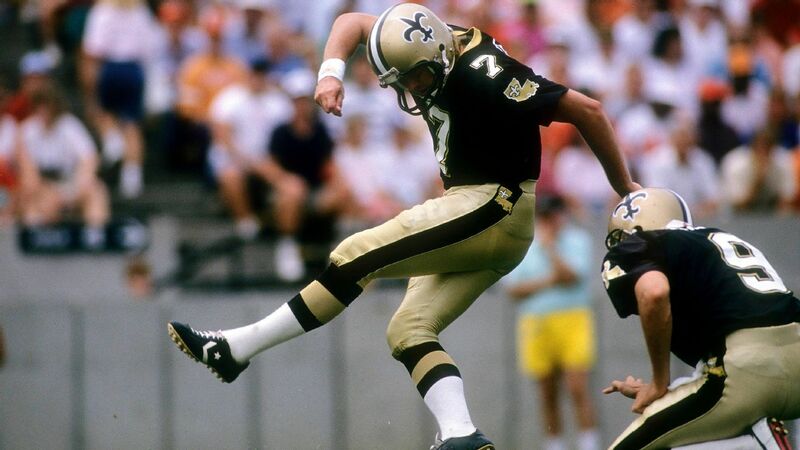 His best season with the Saints was in 1985, when he made 31-of-35 field goals. Of course, every year was a good year for Andersen with the Saints and later with the Falcons, among other teams. Andersen was a finalist for the Pro Football Hall of Fame this year and he draws closer to the day where he will be recognized in Canton, Ohio as he should be as the best ever, to date. Greatest Moment: Andersen's best individual game was on Dec. 1, 1985 as the Saints hosted the Los Angeles Rams in the Louisiana Superdome. It was an emotional day. Bum Phillips had resigned as head coach of the Saints and his son, Wade Phillips was serving his first game as Interim head coach. Andersen did not let the father down. He did not let the son down. The Saints were 4-8 and the Rams were 9-3 but you would never have known it. Andersen booted five field goals in as many attempts as the Saints won 29-3. In terms of significant field goals, Andersen had so many game-winners but one put the Saints in the playoffs. On Dec. 31, 1990, Andersen gave Saints fans a New Year's Eve present, knocking home a 24-yard field goal to give the Saints a 20-17 victory and lifting the Saints to the playoffs. The game-winner came after a previous attempt was blocked but the Rams were offside. Honors: Andersen was an inducted into the Saints Hall of Fame in 2009. In 2015, Andersen became the fourth member of the New Orleans Saints Ring of Honor. He was inducted into the Louisiana Sports Hall of Fame in 2001 and the Greater New Orleans Sports Hall of Fame in 2013. In 2006, he was the first member inducted into the Danish American Football Federation Hall of Fame. He was named first team All-Pro in 1986 and 1987 and was named to six Pro Bowls while with the Saints (1985, 86, 87, 88, 90, 92).